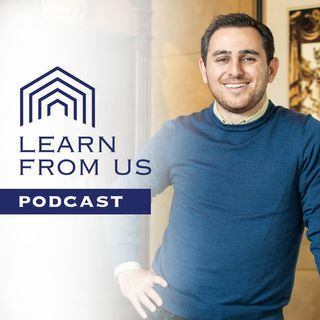 Welcome to the Learn From Us Podcast! This show is for entrepreneurs and real estate investors who want to learn how to invest in all markets. This easy-to-follow advice will show you how to make money during all of the market changes. Learn from accomplished investor Paul Gabrail as he guides you through the economic cycles and gives you real strategies that will help you take advantage of the current market. Inside each episode, Paul shares the strategies that he uses to create generational ... See More wealth. From tough lessons that he has learned to the mindset, you need to have along the journey. Paul pulls you into his world and shares with you what it takes to grow your real estate portfolio.